Prospective car buyers have a lot to keep in mind. They have to assess the brand, make, and model of potential cars while evaluating which vehicle will best fit their future needs. Just as importantly, every buyer must evaluate the specific needs alongside his or her available budget, and in many instances, financial compromises will have to be made. Finally, every buyer will have to make the crucial choice between purchasing a brand-new vehicle or a pre-owned car. While the latter option may allow the buyer to purchase the exact make and model at a price within their predetermined budget, it does come with some inherent risks. It is very important to understand these risks ahead of time, especially if one is looking to purchase a pre-owned vehicle from a private seller. Below are some of the risks associated with purchasing from a private salesmen, as well as several examples of tricks used by unscrupulous hawkers to deceive prospective buyers. 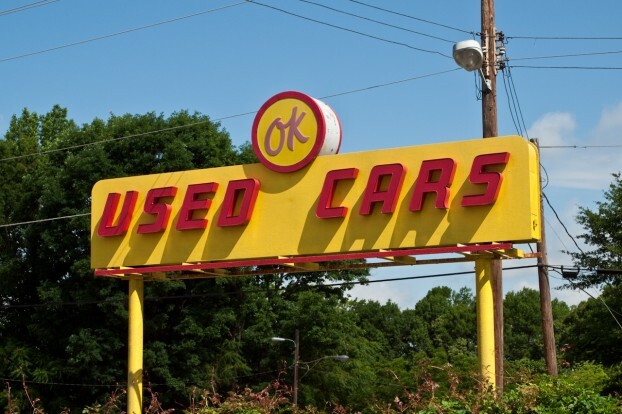 Before we begin discussing the risks that may await used car buyers, it is important to clarify the difference between purchasing a car from a used car dealer or from a private individual. First of all, car dealers, like all businesses in the United States, have to abide by fairly strict regulations or they run the risk of losing their dealer’s license. For starters, in many states used-car salesmen are actually required to provide a short-term warranty with a purchase of vehicles less than eight years old. The length of the warranty will typically range from thirty to sixty days depending on the state, as well as the age and mileage of the vehicle, but it will be provided to buyers at no additional charge. In addition, licensed dealers may offer financing options, and their vehicles are inspected before any transaction is finalized. On the other hand, private party sellers will not offer the aforementioned safeguards to buyers, and a car’s price will not be subject to state law requirements. Cars from private sellers may be more affordable, but they come laden with more risks than vehicles sold from a dealership. Most car deals that appear too good to be true generally are. One of the most common car scams meant to turn an old piece of junk into a great deal is odometer fraud. Most car buyers will not look twice at a car with 200,000 miles on it if the seller wants $10,000 for it, as its actual value will only be a fraction of the asked price. However, dialing the car’s odometer back to 50,000 can turn that same car into a great deal. Although changing the odometer reading is a federal crime, it is also one of the most common used-car scams, and thousands of people fall victim to it every year. In July of 2013, law enforcement in Fresno, California arrested two individuals, twenty-four year old Murad Alrawashdeh and twenty year old Rami Alrawashdeh‚ for altering the odometer of as many as 212 automobiles, and selling them through Craigslist to unsuspecting buyers. The next most common horror story from the private used car market involves a technique referred to as title washing. Given that vehicles involved in accidents automatically lose a substantial portion of their market value, shady sellers will often go to great — and illegal — lengths to hide damage. Sometimes, the private seller will hope to find a buyer that knows as little as possible about cars and the car market, and sell the salvaged vehicle outright. Now, this tactic alone is not illegal, as long as the title indicates that the car has been salvaged or rebuilt. However, there are numerous horror stories of private sellers making physical alterations to original titles, and then re-titling such vehicles in other states in order to obtain a title with a clean history. One famous case of large-scale title washing occurred in Texas in November of 2010. The crime ring, composed of five individuals operating in three different states, was able to wash titles of hundreds — if not thousands — of vehicles from New Jersey and Pennsylvania, and have clean Texas titles issued for them. The ring was eventually caught by the FBI and indicted in Federal Court, but not before the group was able to sell hundreds of their “clean” vehicles to unsuspecting buyers. Purchasing a used motor vehicle from a private seller will always come with certain advantages and disadvantages. You may be able to negotiate a lower price and avoid some fees, but you also are at a greater risk of being scammed by unscrupulous sellers. Ultimately, you should try to learn from the mistakes of others, and take the time to carefully inspect prospective vehicle before finalizing any paperwork. Claude Finch is a freelance writer based in San Antonio, Texas who enjoys focusing on all things related to cars and motor vehicles. Lately he has taken a particular interest in used car dealerships and dealership software; to learn more about such topics take a peek at carxrm.com/auto-dealership-software. Image credit goes to Bill Herndon.